After crocheting one lovely hexagon after another for the last couple of weeks, trying out lots of new patterns and playing with colour combinations, I tried another amigurumi pattern once again. 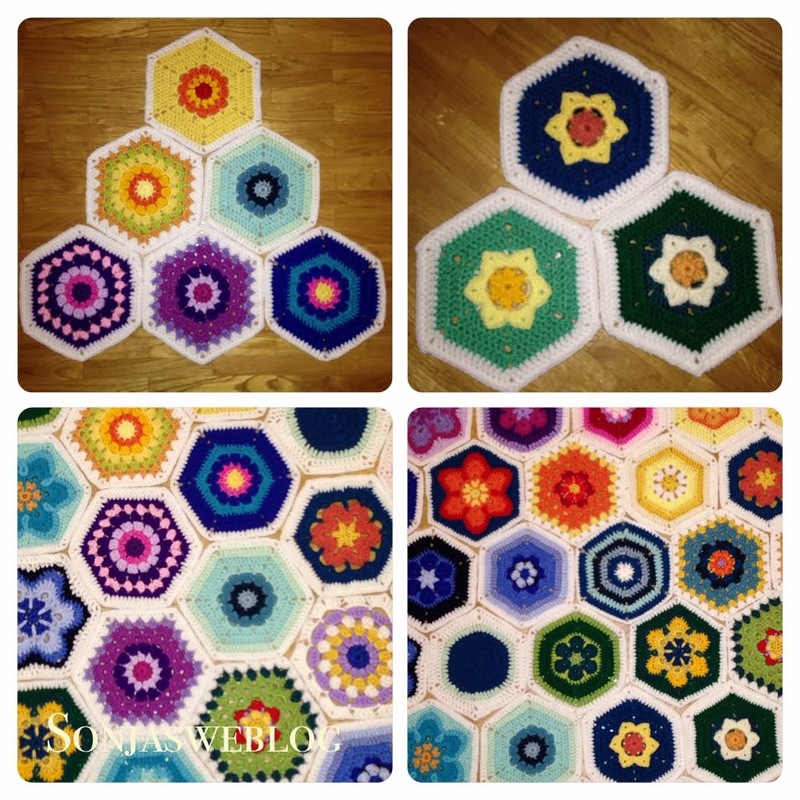 But firstly here are the new hexagons I did for Natasja's crochet for kidneys project I blogged about earlier. 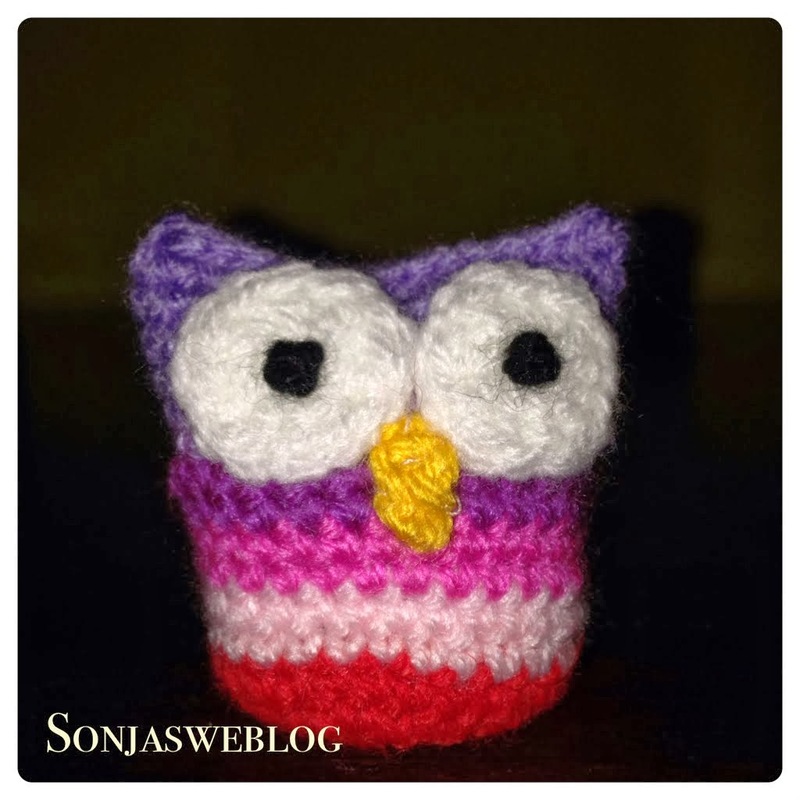 As it is time to send them in, I started to follow a pattern of the talented Becky for a little owl. Actually I thought the owl would be much much smaller. But for this I have to use a very small hook size and much lighter yarn. Still the size is ok for decoration. The little fellow below just measures 6 cm in height. I filled half the body with rice to give it better stability. The other half is filled with stuffing material. Hello, I've crocheted some hexagons for Natasja's blankets too but they're not as pretty as yours are!! I love the little flower motifs and the different colours...I'm not patient enough!